Given the hustle and bustle during the heat of the day through to night fall, one may be tempted to think of Kuala Lumpur as a city that never sleeps. 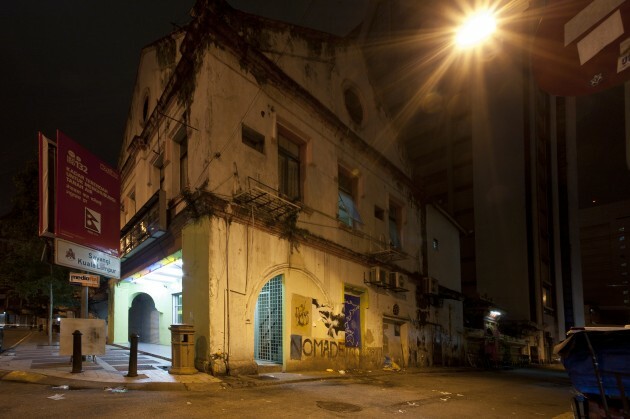 While this may be true for some of the clubbing hotspots that come alive at night at weekends, photographer Jonah Sia discovered that week days would see certain busy places completely deserted. “Since I would always work late, I would pass by the city at night and on a weeknight at about 10pm, places that are usually swamped with tourist or commuters would be deserted. So I decided to document it,” Jonah explains. 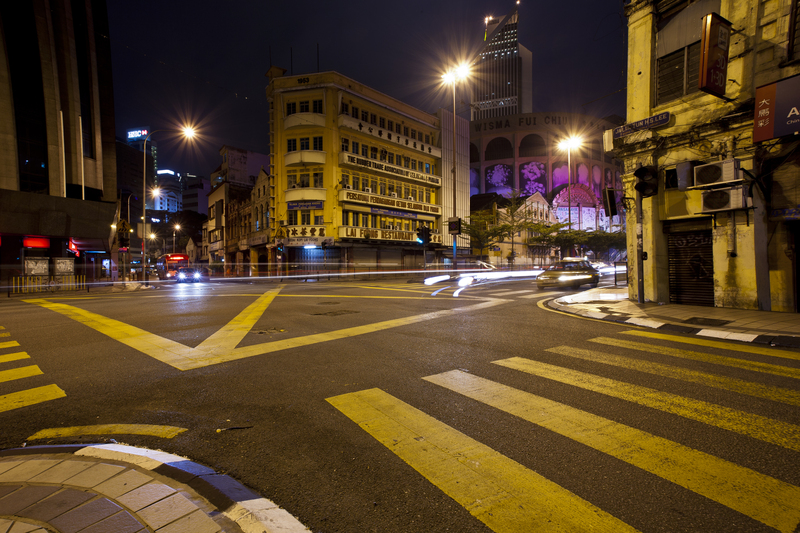 “It’s a part of KL that is rarely seen by the mass public.” With his Canon EOS 5D, he ventured out to the city centre to capture what happens when the cool of the night takes over and incandescent light bathes the streets. 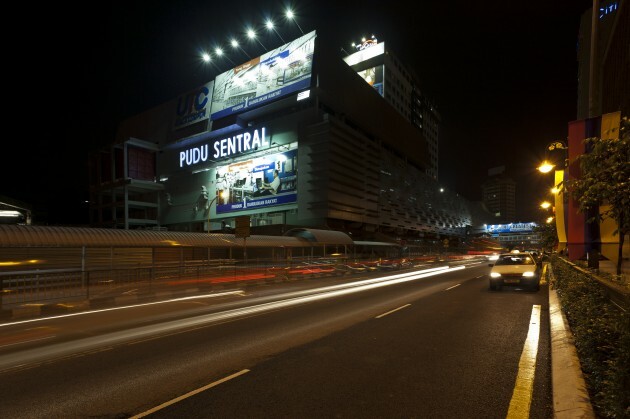 The intersection of Jalan Pudu and Jalan H.S. Lee is one of the places in the city where thousands of people pass through each day. However, this place starts buzzing again with activities as early as 6am when the early commuters start their daily journey to work in the city. A certain quietness and barrenness falls at midnight over the older sections of the KL city. In the day time, the streets and shop houses around Pasar Seni see Malaysians mix with people from all over South Asia. Seen on the left is a commercial from a local telco provider on its low rates for calls to Nepal. 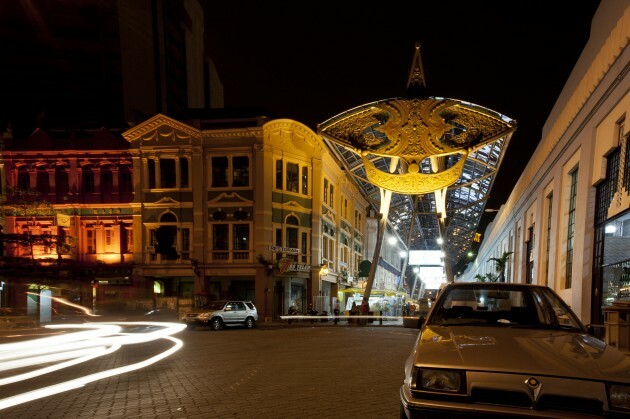 “Having the Proton Saga in the foreground, with a huge traditional kite (‘wau’) in the background, I wanted to capture the progress of the nation in this photo of Central Market,” says Jonah. 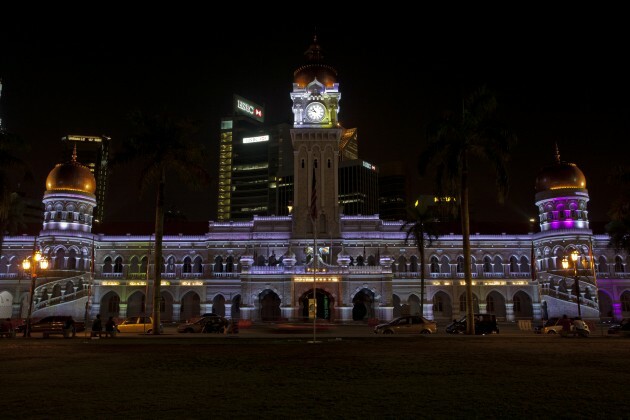 From the day when this first national car was rolled out; until today when old colonial buildings are restored and given new life – the traditional and cultural elements of Malaysia continues to be preserved in modern architecture. Jalan H.S. 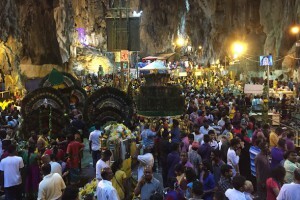 Lee is one of the many narrow streets leading to the infamous Petaling Street, and it is usually filled with tourist, cars, motorcycles, buses and taxis. In other words, every inch of the street is occupied during the day. During the night, cars are parked on the pedestrian walkway to avoid getting summons from the traffic enforcers for parking on a non-parking bay by the streets. The Dataran Merdeka (Merdeka Square) is a historical landmark of Malaysia which saw many national level celebrations throughout the years of its establishment in the 1940s. More recently, it is increasingly known as the place for civil demonstrations. This was also where the Union Flag was lowered and the Malayan flag hoisted for the first time, 56 years ago at midnight on August 31, 1957. 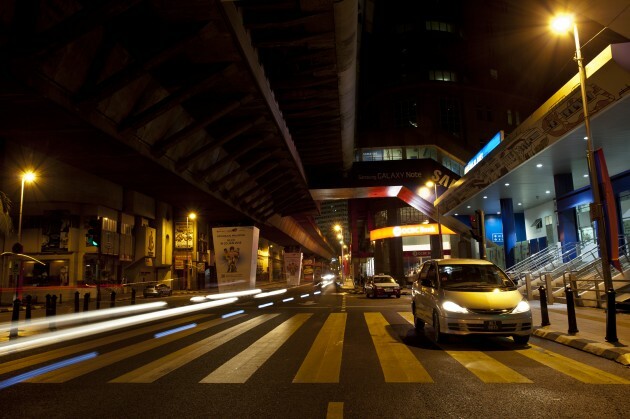 Masjid Jamek LRT Station is also one of the more iconic locations in KL, for being the intersection which connects Kelana Line LRT to Ampang Line LRT. This place is heaving during the day with an endless throng of vehicles and people from all walks of life, mainly as they commute to their workplaces. 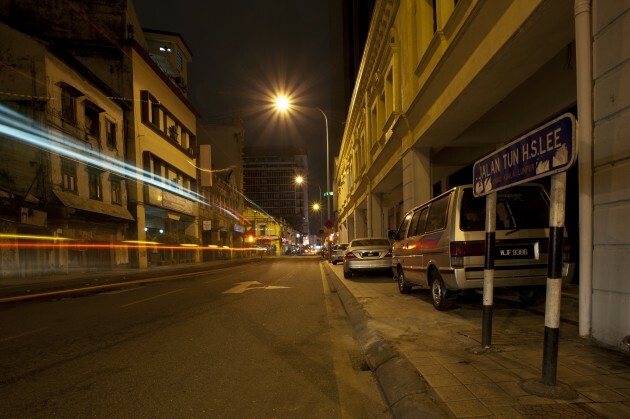 During the night, when the roads are near empty and the crowd has cleared, this area becomes a place for night lurkers. 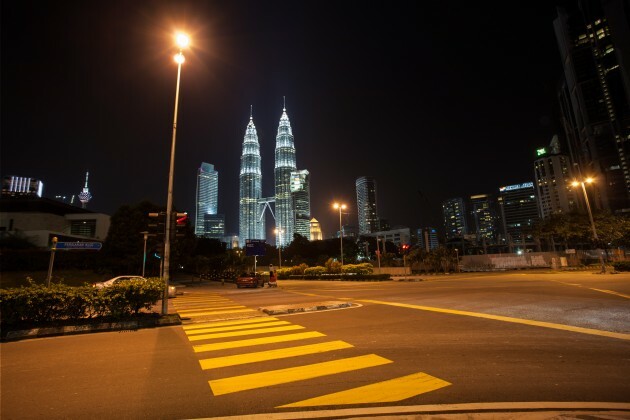 At 9:30pm, Persiaran KLCC, typically congested with traffic during the day, was now empty with just a few cars occasionally zipping through the roads. The Petronas Twin Towers can be seen emblazoned with lights in the background. “This is where everyone stops to take a photo to say, ‘I’ve been to KL and I’ve seen the Twin Towers’. 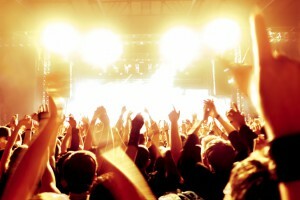 That’s why I wanted to take a photo here”. Jonah Sia hails from Segamat, Johor but has found his ground in Kuala Lumpur, not only as a Financial Analyst but also as an established wedding portrait photographer during the weekends. 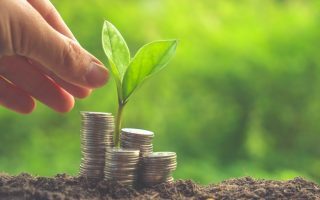 His photography journey began while he was studying in Adelaide University, Australia -starting out as a commercial photographer at various events and industries. For more of his work, check out his website and his Facebook page.